… And I mean “gauche” in more than one sense. Okay, class was actually mostly good today. There were only four of us, so we all got a lot of close-up correction. For whatever reason, my turns to the left were crazy. We did the little balancé-pique-etc combo again, and for whatever reason, every time I would get to the pirouette en dehors on the left side, I would do something else entirely. Edit: For some reason, I didn’t think to mention this, and I feel it’s useful intel. Promenades are often done en dehors — that is, we pick up the heel just a tad and pivot just a scooch towards our insteps. For whatever reason (read: because he is getting us really nailed to our legs), Brian likes to make us promenade en dedans — picking up the heel just a tad and pivoting just a scooch away from our insteps. This requires a bit more finesse (particularly, I find, in retiré — I suspect my tendency to over-sproing is the culprit, there) — one must lift and scooch consistently, lest one roll one’s ankle to the outside, for example. It’s harder to roll one’s ankle the inside for the same reason that there are more sicklers than wingers in any given ballet class. 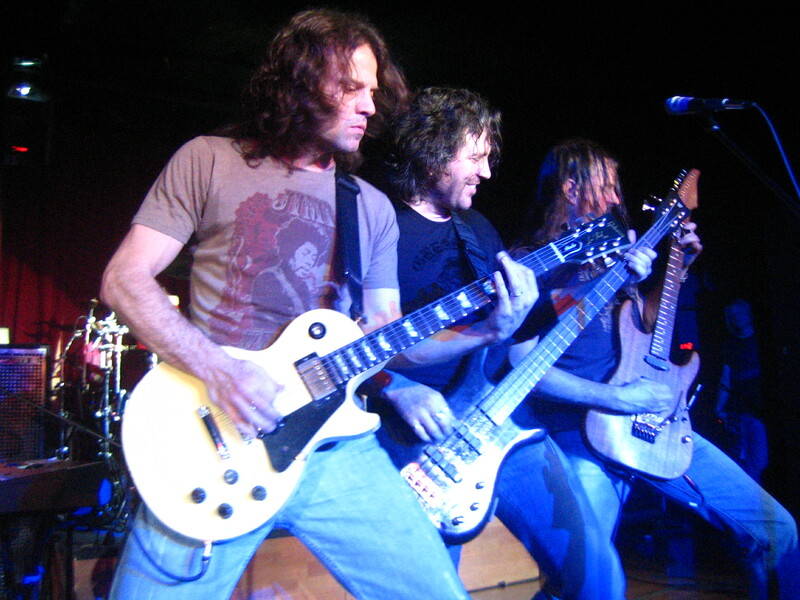 Seriously, I have never yet seen these dudes in ballet class (photo of Winger, the band, via Exxolon at Wikimedia commons). For what it’s worth, I still think promenade is probably the second-most bizarre movement in the entirety of classical ballet, second only to that truly bizarre thing where you get into the ballet equivalent of a tabletop (working leg at 90 degrees, supporting leg in plie, back flat, arms in arabesque) and sort of scoot backwards across the floor (preferably without falling on your face). First, I picked up the wrong leg and turned en dehors a droit. Next, I picked up the wrong leg and turned en dedans a droit. Then I picked up the correct leg (the left one), but turned en dedans, because apparently I like making things harder than they need to be. Finally, after doing every conceivable incorrect iteration, I did it right. Oddly enough, it was much freaking easier to do it the right way than to do it any of the wrong ways. That’s ballet for you, though. This (and subsequent events; we all got our share today) made me really appreciate Brian’s gift for knowing his students; it also made me appreciate how important that is. I, for example, am game but sometimes sloppy: I’m willing to attempt anything, but often enough I get major elements wrong at first. I work from the big picture down (which is funny, because in the visual arts, I work the opposite way, and have really had to school myself in working out a larger composition first). As a dancer, I’m really not at all cerebral — I have movies in my head (though not just movies; I also imagine force and movement and three-dimensional space, etc) and I try to make my body do what the “movies” depict. Once I have the “sketch” of a movement down, I begin working on the finer details, until at last I have a polished movement. This means that my style, as a dancer, is free and elastic and sometimes spastic, wild, woolly, and weird. Sometimes it looks like I’m having some kind of seizure mid-jump. There’s another dancer in class whose approach is the polar opposite — she builds movements piece by piece, trying to perfect each element into a unified whole. Once she has her elements in place, she begins to expand her movements so they become more fluid; more balletic. Her style, as a result, is much more precise and controlled than mine, but tends to the opposite set of challenges — she can be very tight and sometimes overthinks things. As students, she and I need different inputs in order to progress. I need to be made to think sometimes; the thinkers in class need to be forced out of their heads. Brian seems to understand inherently that I’m going to flail around trying to do new things; once my failings begin to approximate the goal state, he starts giving me corrections to dial them in. Meanwhile, he makes the more-cerebral students stop thinking: he gets them to just do sometimes, when thinking is the problem. Then, when they’re ready for details again, he brings back the fine-tuning corrections. I feel like I’m learning by leaps and bounds. I’ve learned to trust my body again; as it did before my long break from dancing, it reliably does what I ask it to (even if it sometimes does so in a messy, chaotic way). The long and short of it is that I feel like I’m learning to fly. I’m going to have to meditate upon these different ways of learning movements. They’ll come in handy in the future, I’m sure.